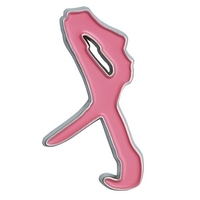 This year Magne was asked by the Norwegian Cancer Society to create a design pin based on the international pink ribbon symbol, in connection with Breast Cancer Awareness Month in October. He follows Norwegian artists such as Nico Widerberg and Camilla Prytz, who have also made pink ribbon design pins in recent years. “I wanted to somehow remove it from the dolled up and feminine and create something that young guys and old men like me would also like to wear. It felt natural to base it on the woodcut technique, as it has an inherent roughness to it. Since I work a lot with letters and text, that was my starting point. And then I realized that the ‘f’ at the end of my signature is in some ways a ribbon. Only upside down”, Magne says in a new video clip about his design pin. 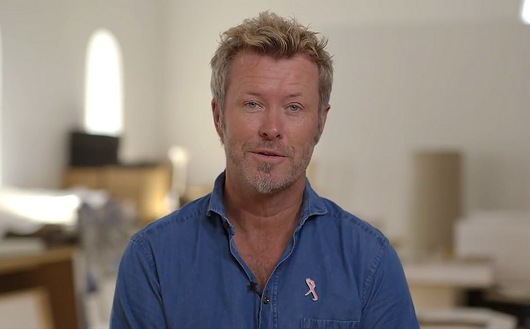 Magne’s design pin can be purchased from the Norwegian Cancer Society’s web shop (only ships within Norway). The price is 100 kroner, with all proceeds going to breast cancer research. The pin is also for sale at Lindex, Mester Grønn, Vitus Apotek and Kid Interiør. 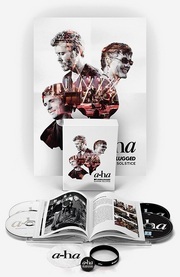 Magne has also recorded a radio ad in connection with this year’s campaign.